A core strength of TechniQuest is its Architect-founder's experience in every element of a contemporary building's services technology, and this is brought to the fore in the design and project management of your project's heating, cooling and ventilation systems. We are committed to the successful delivery of mechanical services and building management systems under our design and project management responsibility while also achieving the highest possible standards of environmental sustainability. 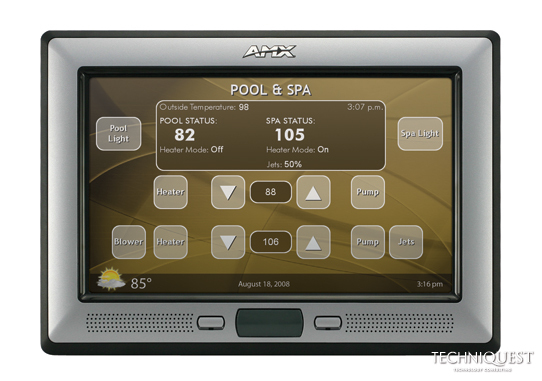 control and monitoring of the lighting and mechanical services for a pool and spa leisure complex featuring AMX Modero control interface.